Some people may be okay with knowing their dogs are doing “fine,” but others know that our dogs are capable of being so much more than just “fine” and won’t settle for less. How do you take your dog from fine to thrive? Start with his bowl. Your industrial-sized bag of kibble may say it’s tasty and healthy, but is it? Big-bag dog food companies are notorious for taking the parts of livestock we humans wouldn’t dare eat and giving it to our dogs. Our dogs get little brown pellets and we get recall scares, dogs with food allergies and picky eaters. 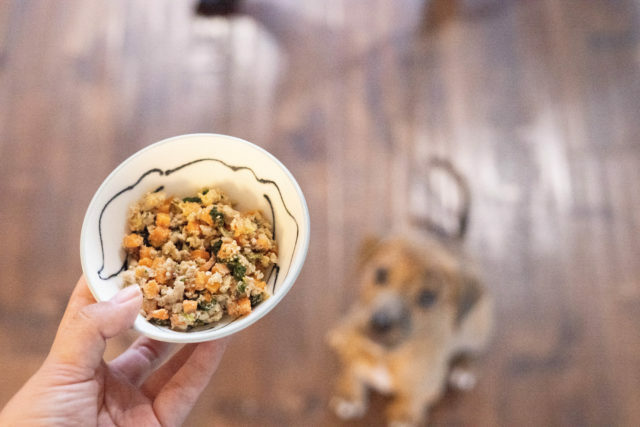 Let’s be honest, we look away and hold our breath when we serve it because everything about kibble – the smell, the look, even the sound in the bowl – is unappealing. Why would we ask our dogs to eat it? We can do better, and NomNomNow is here to give dog moms and dads the golden ticket to their dog’s health and wellness. 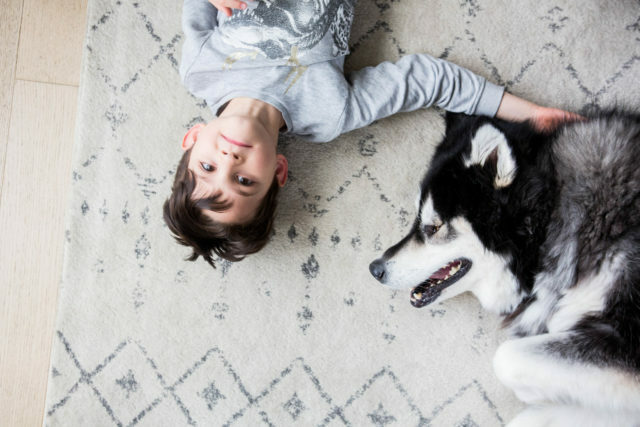 If you want your dog to be better than “fine” you need to give him more than just kibble. Give your dog food that makes him feel strong, healthy, and capable. NomNomNow doesn’t just make dog food, they make food for your dog’s best life. Every meal is vet nutritionist formulated and made from fresh human-grade ingredients that any person would be happy to have on their plate. No more little brown pellets – NomNomNow is real meat, potatoes, carrots, and eggs. No by-products or fillers. It is feel-good food that will lift your dog’s spirits and his quality of life. There’s no need to slave away over a hot stove or decode portion charts, because it’s all gently cooked in NomNomNow’s kitchen and pre-portioned based on your dog’s specific nutritional needs and activity levels. It’s sent right to your door – so now your dog will really have a reason to get excited when someone rings the doorbell! Why have a happy dog when you can have a dog who’s healthy, exhilarated, and in love with the life and food you give him? Don’t settle for fine. Really let your dog shine. And thrive.